Strange Horizons, the long running online speculative fiction magazine, is holding its annual fund drive. If you like their fiction, poetry, essays, and reviews, and can support the good work that Strange Horizons does, consider giving here (NB: Donations are tax deductible). 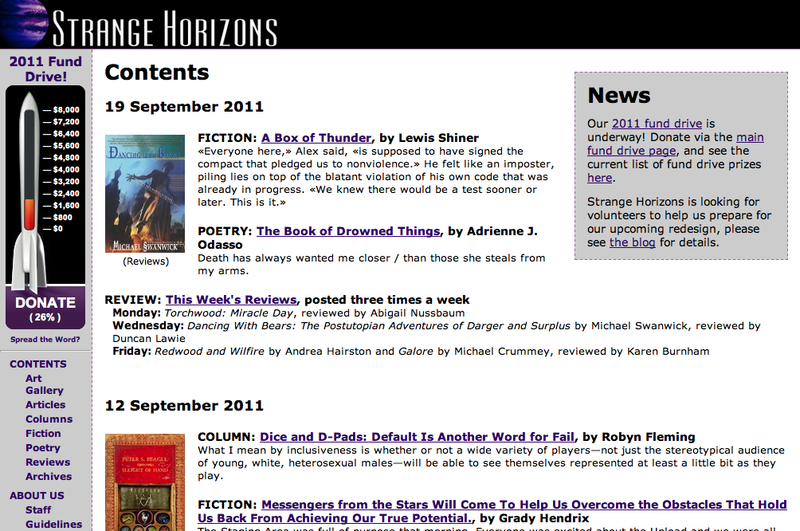 If you have never read Strange Horizons, check it out here.